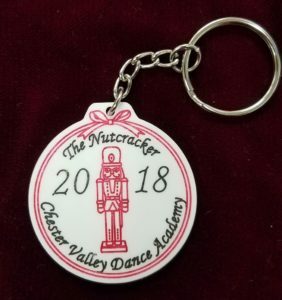 Purchase your Nutcracker Merchandise today to pick them up in the CVDA office by Monday, December 10th! A custom engraved ornament for your dancer makes the perfect holiday gift and is a great way to commemorate this year’s Nutcracker performance. Key chains are the perfect stocking-stuffer and make a great dance bag accessory.